The School has registered with the Youth Parliament ‘Making our Mark’ campaign. Last week pupils in Years 7 to 11 took part in a ballot to select the top issues on which they wanted the UK Youth Parliament to campaign on. Following discussions and debate during tutor periods the pupils selected one of the ten issues put forward on the ballot papers. 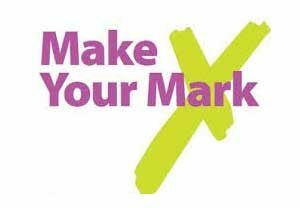 The ballot papers were counted by members of Year 11 and the results forwarded to the Make Your Mark organisers. The top issue that was voted for by Red House pupils was ‘A curriculum to prepare us for life’ (greater emphasis on finance, politics and relationship education) with 23 % of the vote followed by ‘Living Wage’(a call to increase the living wage for everyone over the age of 16) on 18 % and ‘Mental Health’ (increase in mental health services, mental health education and a challenge to stereotypes) with 14%. Pupils also voted in significant numbers for improved transport links, votes at 16 and tackling racism and religious discrimination.